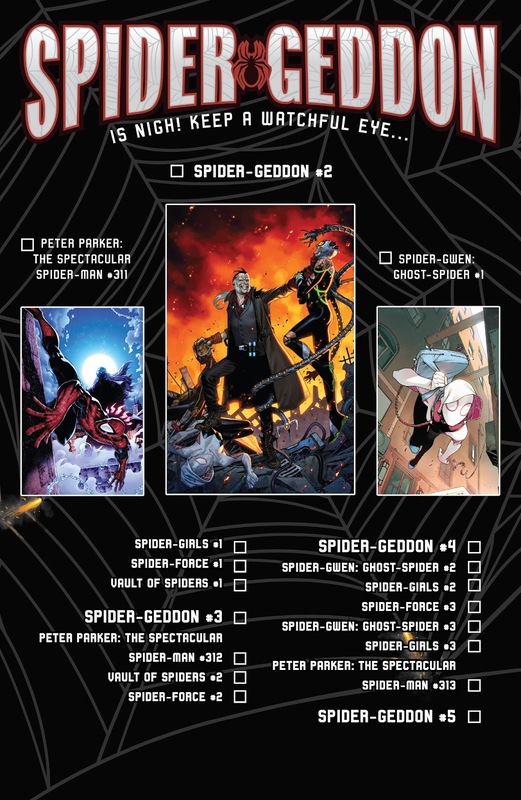 Marvel Comics Universe & Spider-Geddon #1 Spoilers: At Least 2 Die At A Returning Threat(s) As Amazing Spider-Man MIA, But Ultimate Spider-Man, Superior Spider-Man & More Present For Battle! 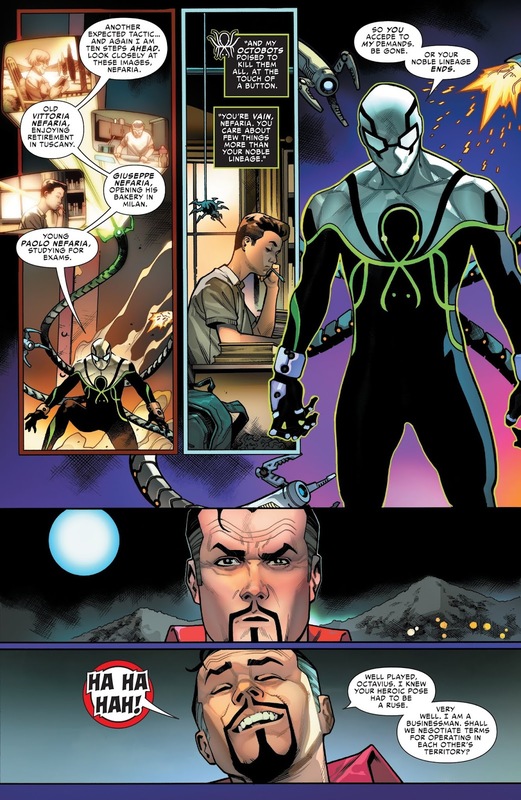 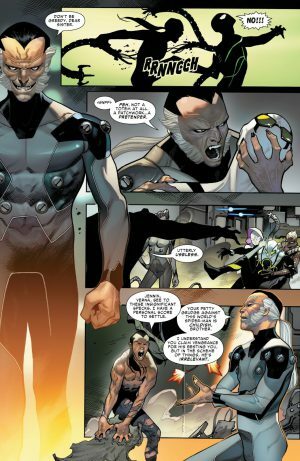 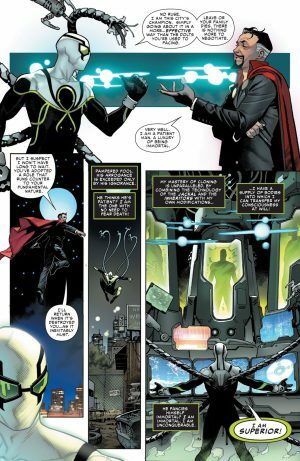 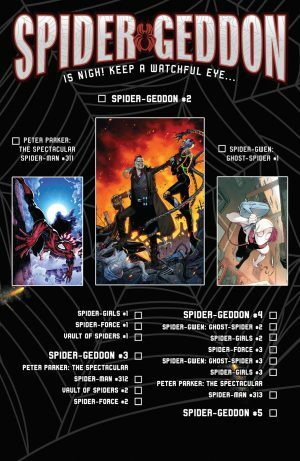 Marvel Comics Universe and Spider-Geddon #1 Spoilers follows. 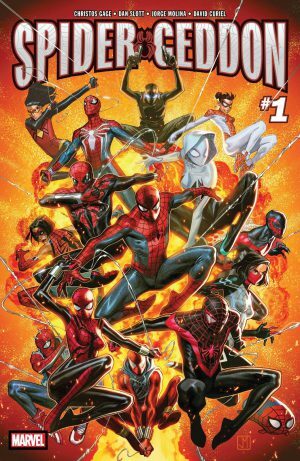 At Least 2 Die At A Returning Threat(s) As Amazing Spider-Man MIA, But Ultimate Spider-Man, Superior Spider-Man and More Present For Battle! 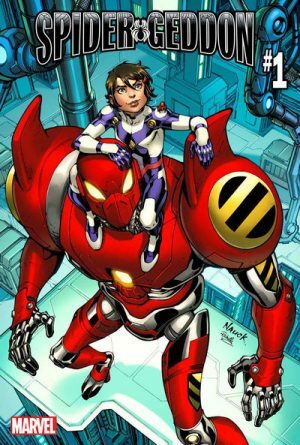 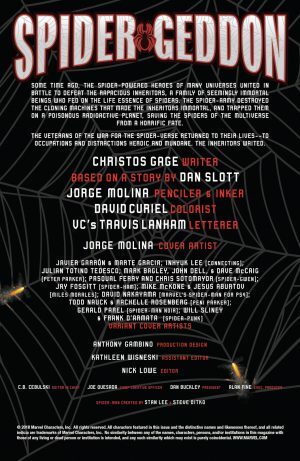 We open with a storyline catch-up and creator’s credits page. 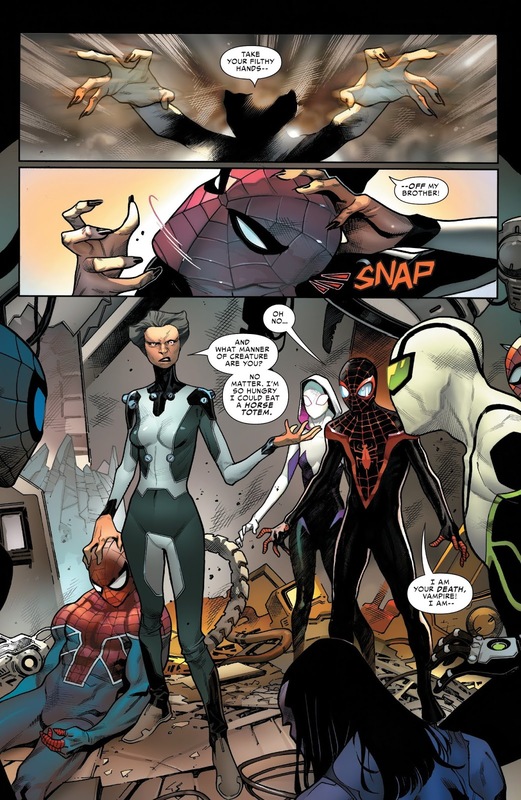 Then, Spider-Gwen and Spider-people from across the multiverse recruit Miles Morales the former Ultimate Spider-Man and now simply Spider-Man. 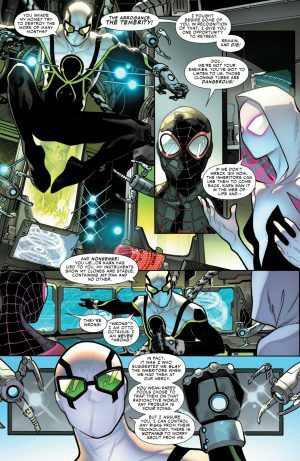 At the same time, we get a glimpse of how the Superior Octopus – soon to be the Superior Spider-Man again – handles crime as a hero. He has a harder edge and isn’t afraod to cross some lines for the greater good now. Later, the Spider-people break into the Superior Octopus / Spider-man’s lair wanting to destroy his clones of himself. 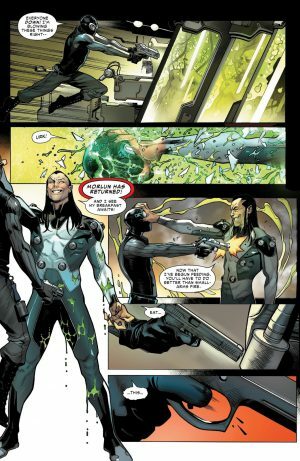 They think the Inheritors are back through the clones. 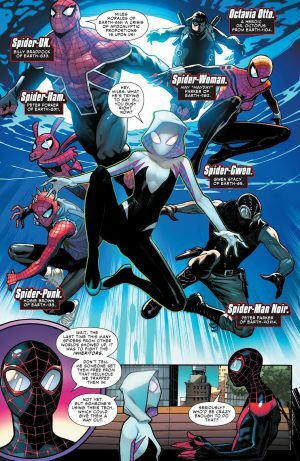 Spider-Man Noir goes to destroy the clones when the Inheritor Morlun emerges and kills him! Death #1. 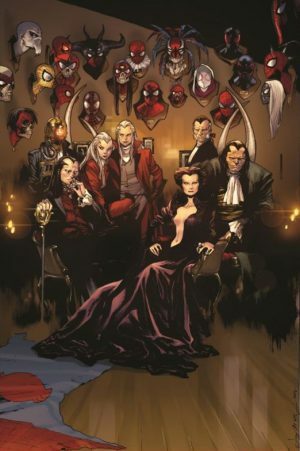 …Inheritor Verna emerges from a clone chamber and kills Spider-Man UK. 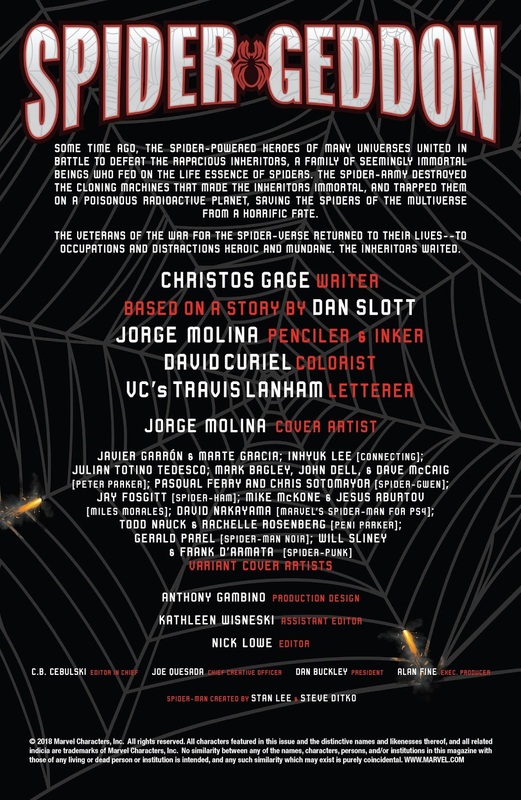 Death #2. 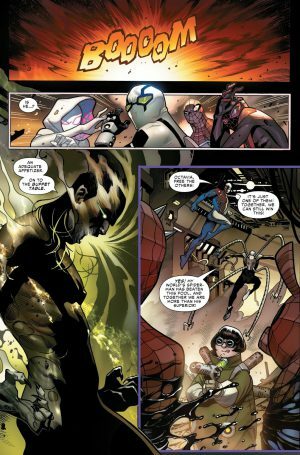 Next out is Inheritor Jennix who strips the Superior Octopus of his mechanical arms, but doesn’t feast on him as he is not a pur totem bearer. The Inheritors are back and its Spider-Geddon! 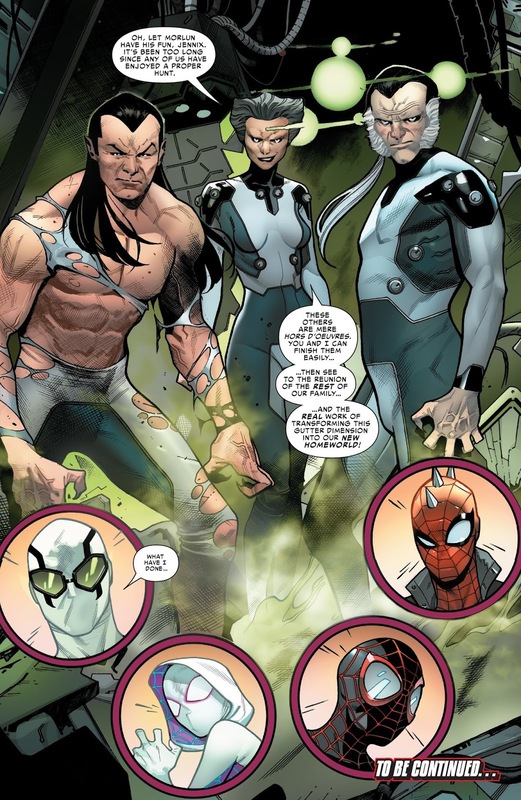 I guess the spider-totems are the tastiest?